Anti-rigging campaigners have alerted Scottish election officials of a possible general election fix targeting the SNP. They are calling on voters to photograph their ballot papers for verification. The pro-independence campaigners, who believe last year’s referendum was rigged, are eager to avoid any alleged repeat during the general election. 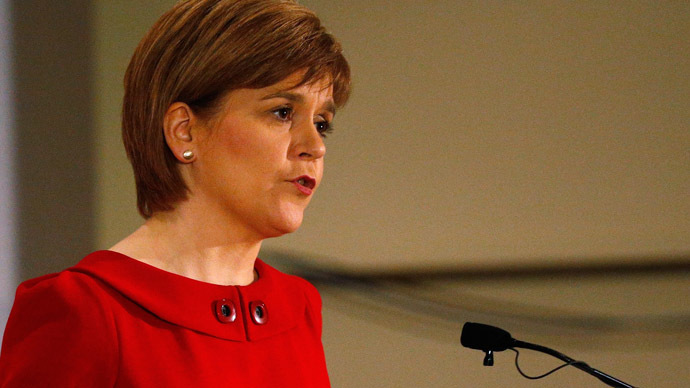 The Scottish National Party (SNP) are “at high risk” of being victimized by an election fix, campaigners say. To prevent ballot papers from being tampered with, they have shared an image on Twitter containing a list of instructions for voters to abide by. The campaigners are asking the electorate to vote between 9pm and 10pm on election day, and to take pictures of their ballot papers with time stamps. “After voting hang about outside, ideally near the car park BUT do not act suspicious, we want the police watching the polling station not distracted by us,” one of the instructions said. People who are waiting outside should take pictures of anything which they think “looks strange” when the vans are being loaded with ballot papers once the poll station has closed. They are advising voters to not post any images before polling closes, and to remain “polite and courteous” at all times. “There is ample evidence that the British secret services tampered with votes in the Scottish referendum,” he said. Operation Scallop A number of people in Scotland believe there is a conspiracy involving hundreds of people happening under our noses. The SNP are “obviously” at higher risk of being targeted. If the SNP “take a majority of the voters,” it will “trigger another referendum” and leave Britain “in fear,” Spanner says. @davidicke Mr Icke. Could you retweet the hashtag #operationscallop ? We are trying to ensure the British Govt does not steal our votes. “Those assisting in Operation Scallop will ensure transport taking votes from ballot stations to counting stations are not tampered with,” he said. Formal warnings were sent to Scotland’s electoral management board and to officers in all local authorities on Wednesday to watch out for large queues and any disruptive behavior at polling stations. Scottish police have also distributed warnings to all divisional commanders, asking them to watch out for vans leaving after 10 with ballot boxes. The polling stations and police have been ordered to ban people from taking selfies or using phones in polling stations.